Filterstation, Software Filter from Audio Damage. 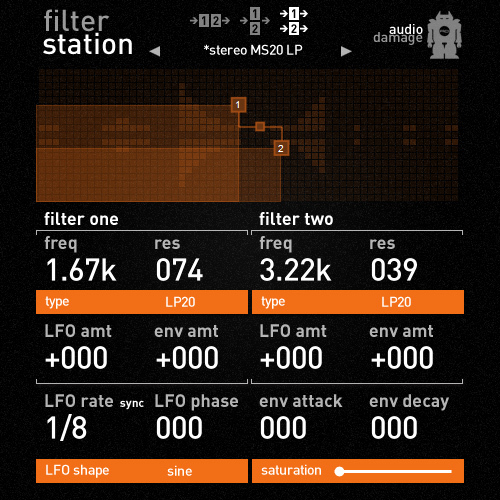 Filterstation is the Audio Damage take on the serial/parallel/stereo dual filter topology, made famous by the Sherman Filterbank and its clones. 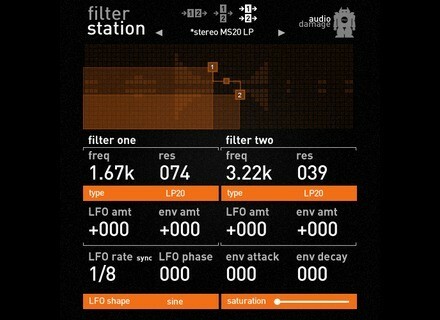 Filterstation features twelve filter algorithms (including the new MS20 lowpass and highpass emulations), an envelope follower and saturation. • Twelve different filter algorithms, including two new MS20 emulations and the 914 bandpass and Filterpod lowpass models. • Sidechain input for external signal to envelope follower (VST3 only). Check out Audio Damage for more details. Samplecraze Urban Dynamics Urban Dynamics is a new drum library from Samplecraze featuring drum samples. Moog Music Animoog Animoog, powered by Moog’s new Anisotropic Synth Engine (ASE), is a polyphonic synthesizer designed for the iPad. Korg iKaossilator Korg has introduced their line of Kaoss products, using an X-Y pad to provide musical control.